A mother who lost three family members in a terrorist attack at a Tunisian hotel has criticised the owner for re-opening under a new name. Sue Davey from Tamworth was killed in Tunisia in 2015, now some families are taking action against TUI after unlawful killing verdict. Cheryl Stollery from Nottinghamshire said she did not see police "for hours" after the gunman opened fire. The attack by a lone gunman on a beach in the Tunisian resort of Sousse, resulted in the worst loss of British life since the 7/7 bombings. Some of the families alleged that the tour company had failed to ensure adequate security at the Riu Imperial Marhaba Hotel. The managing director of the UK branch of tour operator TUI has said the company's "deepest sympathies" are with the families of the victims of the Sousse terror attack. Nick Longman added that since "that tragic day" TUI has taken steps to raise awareness of the Foreign and Commonwealth Office's (FCO) Travel Aware campaign which aims to highlight travel advice issued by the FCO for different countries. “What happened on that tragic day on June 26, 2015, in Tunisia shocked and devastated all of us. "Our immediate heartfelt condolences went to the families and friends of those so tragically affected. "On behalf of everyone at TUI UK, I would like to again extend our deepest sympathy. "We are so very sorry for the pain and loss those affected have suffered. “Over these last few weeks we have heard very personal and very moving accounts of what happened during and after the terrorist attack. “We have played a full and active role throughout the process of the Inquests and we, like others, wanted to understand the specific circumstances surrounding these tragic events. “We have now heard the Coroner’s findings and his comments regarding the provision of security and visibility of travel advice. "These are complex matters and we have already taken steps to raise awareness of the FCO’s Travel Aware campaign. "Together with the travel industry in light of these comments we must now take some time to further reflect on these areas. “On that day the world changed. As an industry we have adapted and we will need to continue to do so. Mr Longman stressed that TUI now includes links "on almost every page" of its website and travel brochures linking to the FCO advice, and that its employees are trained on how to give advice. The two sons of Scott Chalkley, who lost his life in the Tunisia attack, said he was ready to start a new life with his partner Sue Davey. All 30 British victims of the 2015 Tunisia terror attacker were "unlawfully killed", the coroner has said. Coroner Nicholas Loraine-Smith rejected calls from lawyers for some of the victim's relatives to rule "neglect" by travel firm TUI or the hotel owners played a role in their killing. He said the law on neglect did not, in his view, apply to tourists who voluntarily went abroad and that better planning and actions by hotel staff may not have prevented the atrocity in which 38 people were killed by radicalised Islamic extremist Seifeddine Rezgui. In his summary, the coroner referred to the response of police and military, including an officer who "fainted through terror and panic" and a guard who took off his shirt to hide the fact he was an officer. "They had everything they required to confront the gunman and could have been at the scene within minutes," he said. "The delay was deliberate and unjustifiable." He has told the families that his conclusion will be that all 30 British tourists were unlawfully killed. 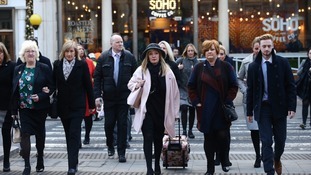 The relatives of the 30 Britons killed in the Tunisia beach terror attack in June 2015 have arrived at the Royal Courts of Justice in London to hear the inquest deliver its findings. Families of those killed have called for a "neglect" verdict arguing travel firms failed to protect their loved ones. 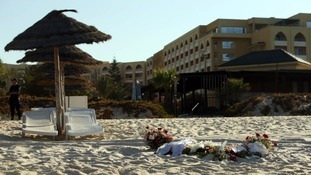 Andrew Ritchie QC, counsel to the families of the victims, said Tunisian authorities had taken the terror risk to tourists seriously, but that hotel operators had not. The inquest, which began on January 16, seeks to determine how much the UK government and travel firms knew about the risk of an attack on tourists holidaying in the area.